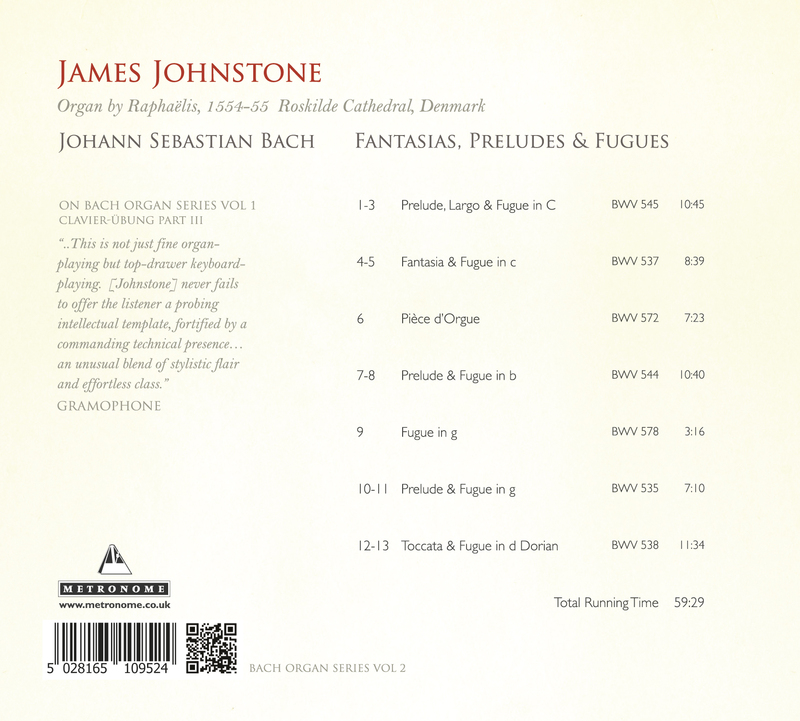 [Johnstone] has certainly got quite an ear for organ heaven…His subtle phrasings shadows Bach’s wistful musings, teasing out a wealth of expressive asides…. 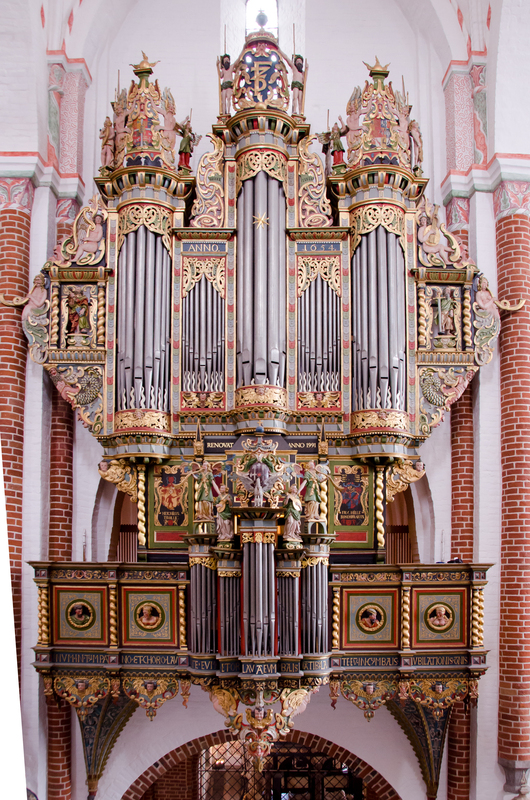 [BWV578] is driven with inexorable clarity lending whirlwind exhilaration. The pieces heard here have an orchestral excitement to them, and Johnstone’s playing expresses a kind of purity, a luminous clarity of line, which is involving. Johnstone shows an completely convincing personality. 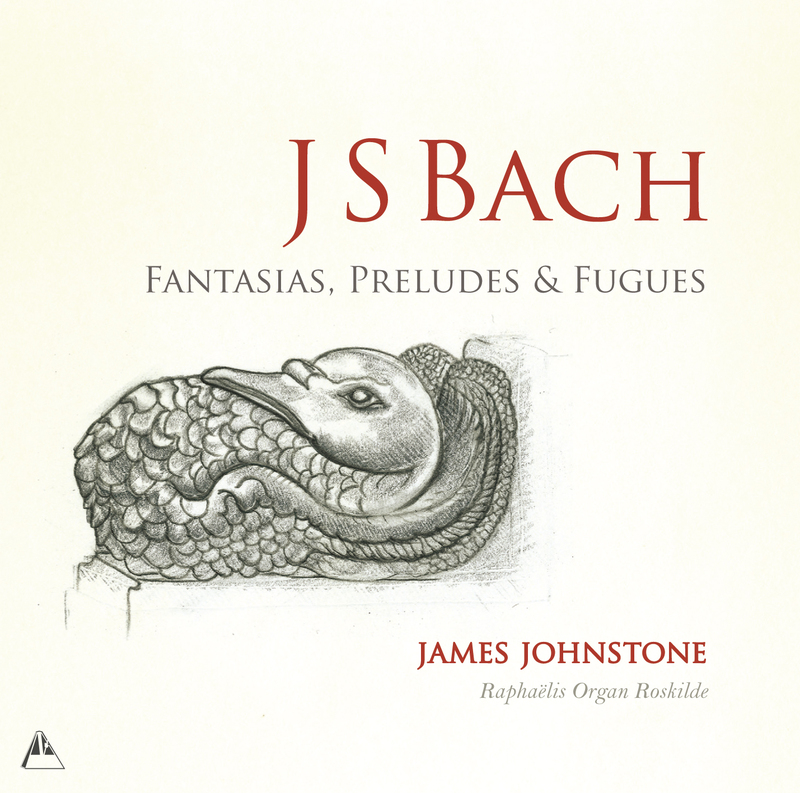 Radiant yet never showy technique, clarity of the most intricate polyphonies, spontaneous sounding ornamentation…Among the total successes of this recording the BWV 544 Prelude in B minor is a notable example…a noble discourse, perfectly placed between contrasts and overall conception, perfectly counterbalanced by the sober and restrained tone of the fugue that follows…this disc is impossible to do without.